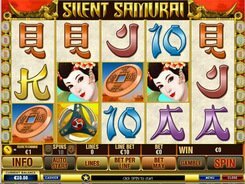 Silent Samurai is an exotic Playtech-powered slot with five reels and nine win lines. Its symbols include Geisha, Samurai, Ninja, Dragon, hieroglyphs and other symbols relevant to the Japanese theme. 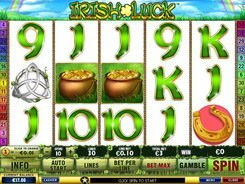 You can bet a maximum of 10 coins per line and change a coin value from $0.01 to $5. 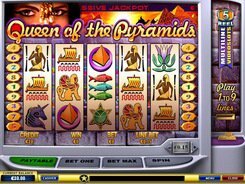 A regular fixed jackpot amounts to 5000 coins and is paid for five Dragons on a payline. This legendary creature acts as the wild symbol that substitutes for other icons in order to complete winning combos. 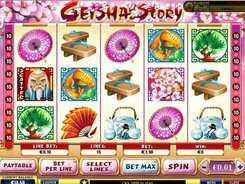 Geisha is the scatter symbol that offers payouts of x5 to x10 times your bet when three or more hit anywhere on the reels. The Samurai icon appearing on reels 1 and 5 pays x5 times your stake in the main round and starts the Bonus round. The Ninja Battle Feature takes you to a screen with fearless Ninjas you have to select from. Pick three Ninjas, and each warrior of your choice drops either free games (up to 27 spins) or multiplier prizes (up to x8 times your bet). 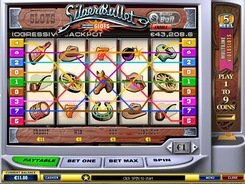 Playtech often crafts its slots with a ‘Red or Black’ Gamble feature, and Silent Samurai is no exception. 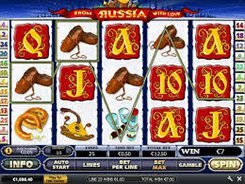 After winning any amount in the main game, you may opt to click the Gamble button to activate the Gamble round. A correct color choice doubles up your win. 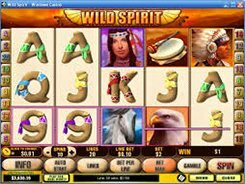 If you have selected a wrong color, you lose your cash prize earned in the latest spin. PLAY FOR REAL MONEY!